Tell us a little about your vehicle. We can give you a more accurate quote with this information. Include trim level, 2 or 4 whee drive, engine size, any current customizations, and other information that is relevant. If possible, please upload an image of the sides, front, rear, and undercarriage of vehicle. 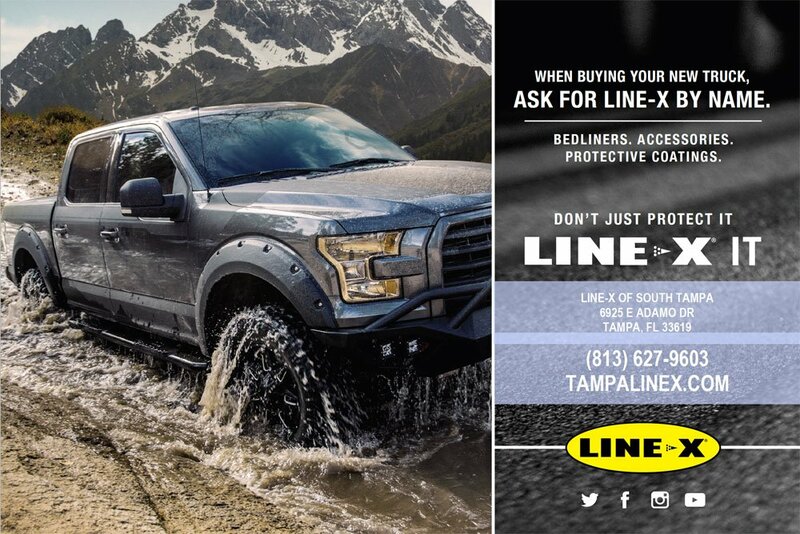 Briefly describe what you want LINE-X of South Tampa to do to your vehicle. We do not sell our email lists. We only send emails when they can save you lots of money. You can unsubscribe at anytime.